← November 9 & 10, 2013 Ketchikan Capts. Score! 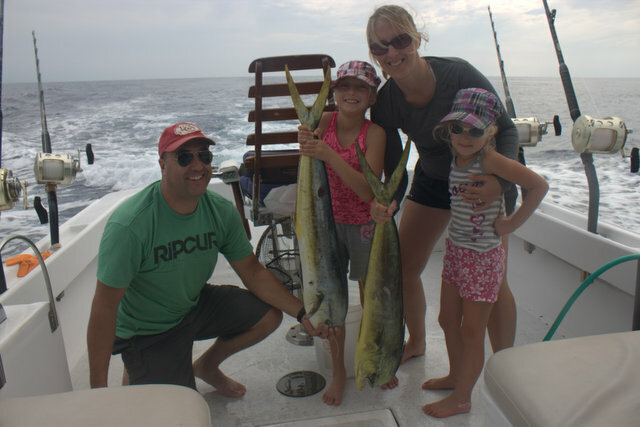 Today Dion, his wife Barbara and their awesome daughters Maci and Shae, joined for a full day on the Lepika! We left the harbor just before first light and ran to a nearby buoy in hopes of catching the girls something quick. We had some live baits so I sent them back on some lighter rods that the little ones could handle. It didn’t take long before a nice mahimahi came charging in and ate the bait. 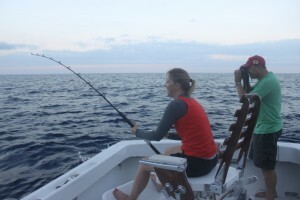 Shae quickly volunteered to fight the first fish and jumped in the fighting chair! 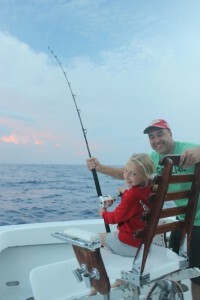 With Dion assisting, she landed her first ever mahimahi which weighed about 12lbs! Hoping there were more I sent back another bait and again got bit pretty quick. Maci wasn’t having anything to do with it so mom got in the chair and fought our second mahimahi to the boat! We had dinner in the boat! We caught a few more live baits and headed out to look fo r something bigger. A few hours later we ran into a big porpoise school which a few boats were already fishing. 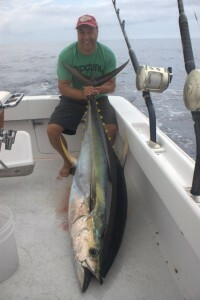 I went right to the greenstick and on our second pass a big ahi flew out of the water and ate one of our squids! 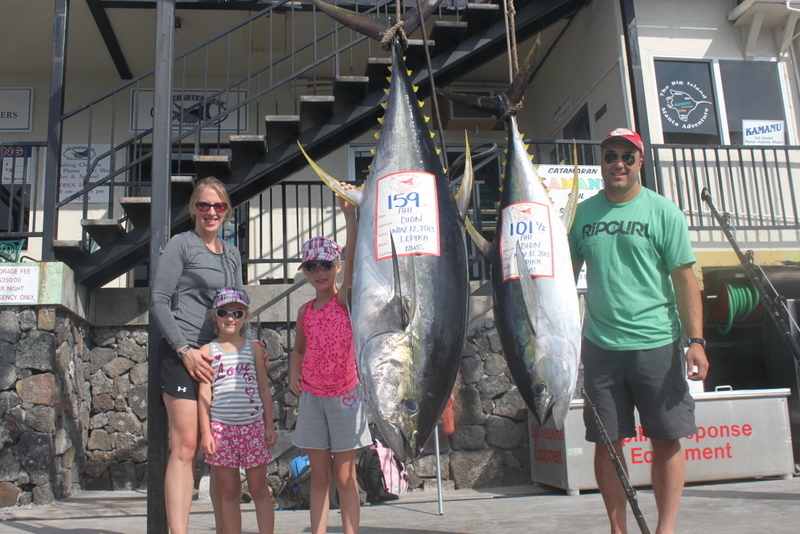 Dion was up and fought his first ahi to the boat in about 15 minutes! It weighed 159lbs! I set up again and marked a few more fish in the pile. I worked them for about 2 hours but the fish just refused the plastic squids. I decided to switch to our live baits and dropped one back. Almost instantly, a nice ahi took the bait! Dion again was up and got harnessed in the fighting chair. He managed to get me the leader in about 15 min utes and this ahi would end up weighing 101lbs! With more and more boats arriving in the school I decided to head back to the harbor. It was a lot of fun especially letting the kids get in on the action!